CapKold, a market leader in cook-chill technology, sets new standards for cooking perfection and consistency with its line of Electric Sous Vide Cooker-Chillers. When food quality, flavor, texture and aroma matters, look no further than CapKold for more uniform doneness and a perfectly cooked product every time. With CapKold’s Electric Sous Vide Cooker-Chillers, you can prep multiple portions in a single batch. 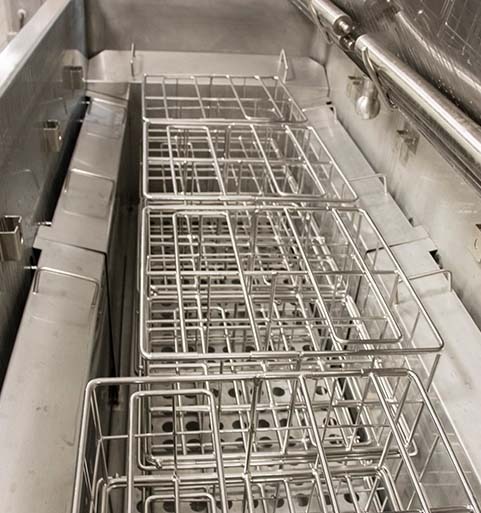 Our commercial kitchen equipment is designed to provide greater control and flexibility with an automated cooking solution that reduces the risk of drying out or over-cooking. 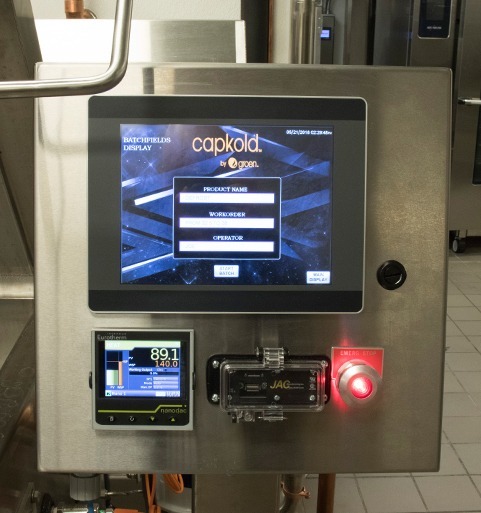 In scenarios where high-volume food production yields are required and safe, extended storage in a controlled refrigerated environment is a must, CapKold’s Sous Vide Cooker-Chillers provide a real culinary advantage. 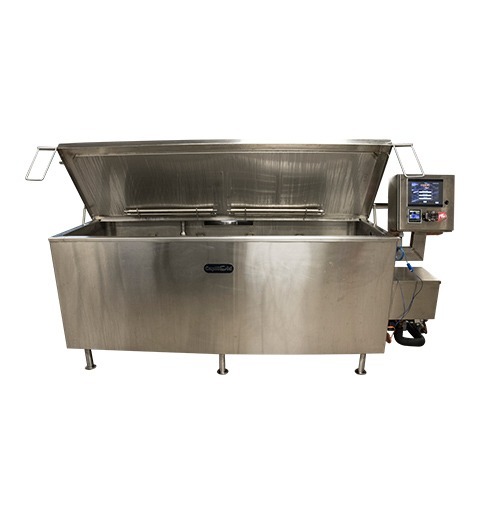 The small unit cooks and chills up to 400 pounds while the large unit can cook and chill up to 600 pounds of vacuum packaged product, utilizing removable cooking baskets or liquid-filled bags. 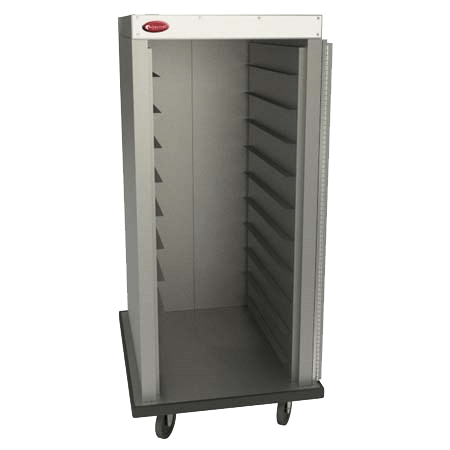 These units can also chill product from 180°F to 35°F in approximately 60 minutes to 6 hours, depending on the type of product. 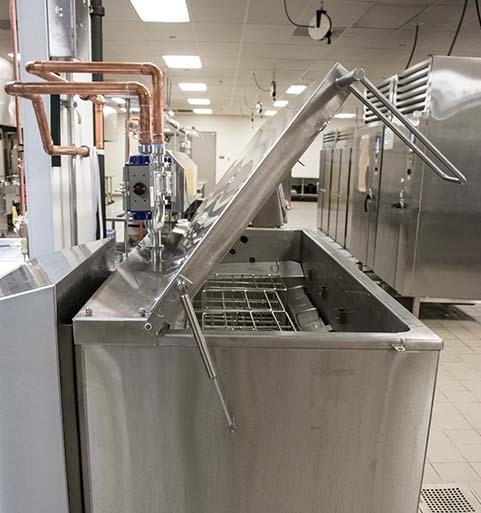 This specially designed unit circulates 35°F water in a turbulent motion which effectively chills soups, sauces and other products typically cooked in kettles. 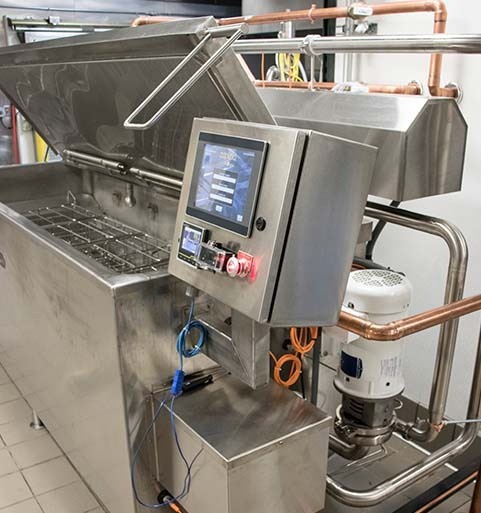 In addition, the unit can automatically chill meats, vegetables, rice and other products and is perfect for defrosting any foods in casings.